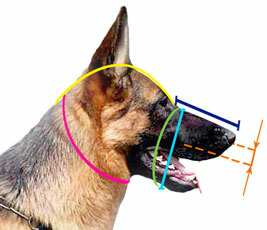 German Shepherd is a breed which main purpose is to guard, but not to harm people. 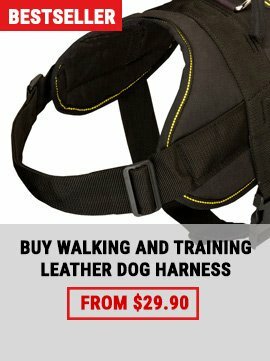 That’s why this German Shepherd Dog Leather Muzzle Designed in Military Style is the choice that you should make if you want to be sure that your dog will be protected from unnecessary harm (such as chewing or eating unnecessary objects from ground) and people around will feel safe about your dog. 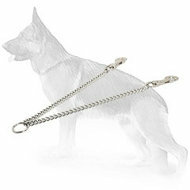 Although this particularly type of muzzle has been designed for police dogs, it will also find use in a n everyday use. So, if you want maximum safety, maximum comfort, maximum style and protection from unwanted occasions - then Amazing German Shepherd Leather Muzzle For Training will perfectly fit your German Shepherd. 1. 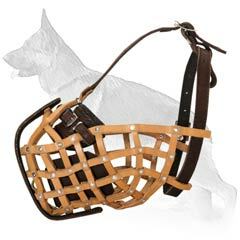 The muzzle can be used for different purposes such as training, walking, visiting a vet etc. 2. The muzzle has a snout-closed design, which prevents any harm to a dog and to other people. 3. It has a special nose padding, that means that your dog won’t rub his snout. 4. There are multiple holes for better air circulation, that’s why your dog won’t have any difficulties with breathing. 5. 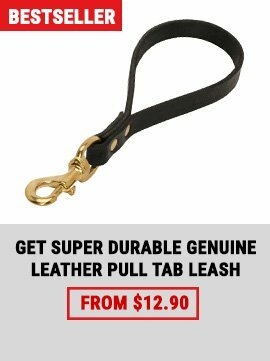 Due to its design and quality of materials, your dog can use it freely for a long time without any inconvenience. 6. 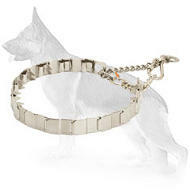 There are several straps that could be adjusted and will never stretch. 7. 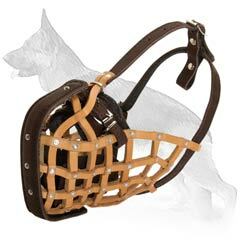 The dog won’t be able to put the muzzle off or to damage it. 8. 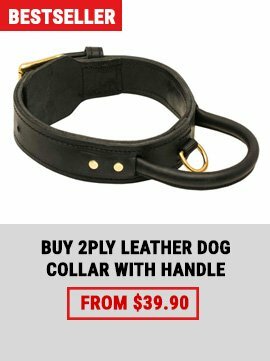 Your dog is safe now from eating any unnecessary objects. - Don’t forget to make all the needed measures precise and accurate, cause your dog can feel badly in a muzzle of incorrect size. 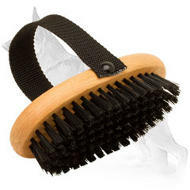 - If you want the muzzle to serve you longer, you should not forget about special leather maintenance.